A few days ago I blogged a simple example of doing an Ajax form post with jQuery to a ColdFusion page. Today I’d like to build upon that simple example by demonstrating a login process that uses jQuery to fire off the authentication requests. I know I keep saying this, but do remember that this is just one way to do this and you could modify this code quite a bit if you wanted it to run a bit differently. Let’s start with a simple Application.cfc file for my application. There are two methods defined in this Application.cfc. The important one is the onRequest. It will be used to handle security for the application. If the request is not for my login page or my authentication CFC, and if you aren’t logged in (notice I check a session variable initialized in the onSessionStart), then we push the user to the login page. Ok, so far, nothing really special has been done. Let’s look at login.cfm and how I used jQuery. Let’s take this from the bottom up. At the bottom of my page I have my login form with two simple fields. Below that I have a blank div with the id of status. Moving up into the script code block, notice the my document.ready code simply hijacks the form’s submit action. The send form should look pretty familiar to the one I did in the last blog entry. I start off by creating a message in the status div. This will let my users know that something is going on. Next, I use the built in serialize() function to convert the form into data and send it to my ColdFusion code. This time I’m posting to a CFC method, so I specify a returnFormat to keep the result in simple text. If a failure was returned, I set a message in the status div. If the result was good, I clear the status and then send the user to the home page. Why clear the status? If the home page takes a few seconds to load, I don’t want the user to think that their login failed. 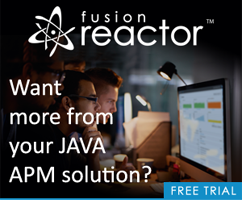 Want to learn ColdFusion (again)? Ask a Jedi: How secure are the username/password values of a ColdFusion Scheduled Task?